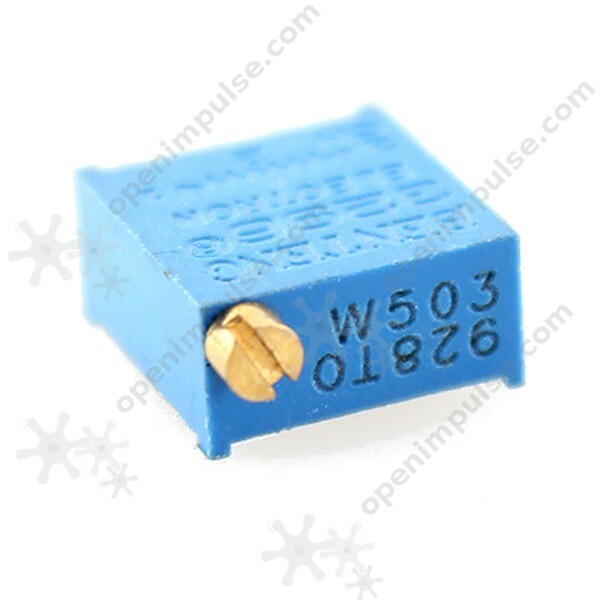 This 50 k ohm multi-turn potentiometer is a common element in electronic circuits and is used for tuning and calibration. It can be mounted on printed circuit boards for tuning and adjusting the circuit performance. 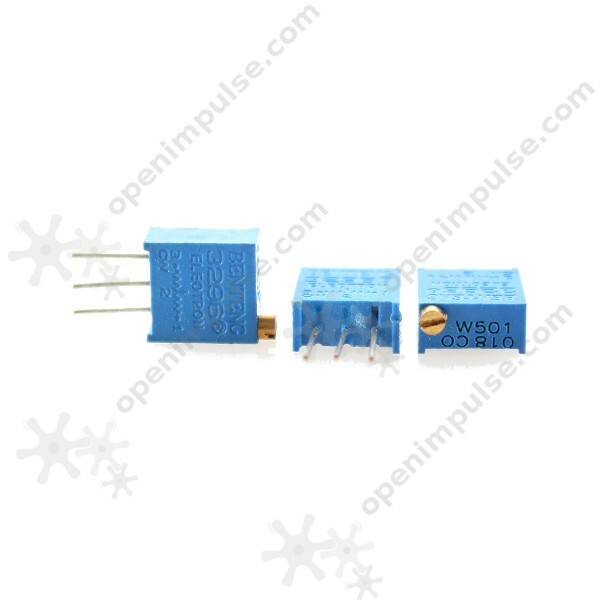 This 50 k ohm multi-turn potentiometer has three terminals with a continuously adjustable tapping point controlled by the rotation of a shaft. 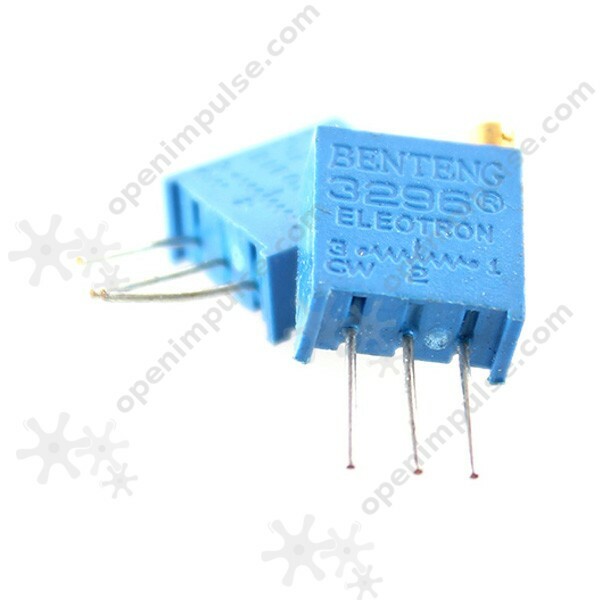 The potentiometers are adjustable electronic components which can be used as voltage dividers, variable resistors or current controllers.